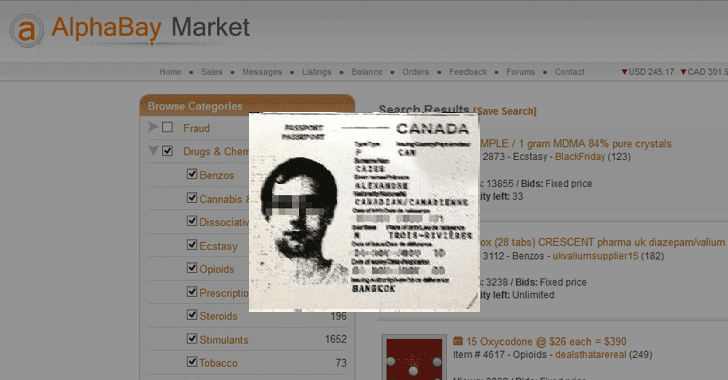 AlphaBay Market — one of the largest Dark Web marketplaces for drugs, guns, and other illegal goods — that mysteriously went dark earlier this month without any explanation from its admins has reportedly been shut down by the international authorities. On July 4th, the dark web marketplace suddenly went down without any explanation from its admins, which left its customers who have paid large sums in panic. Some customers even suspected that the site's admins had pulled an exit scam to steal user funds. However, according to the Wall Street Journal, the disappearance of the AlphaBay came after authorities in the United States, Canada, and Thailand collaborated to conduct a series of raids and arrest Alexandre Cazes, who allegedly was one of the AlphaBay's operators. 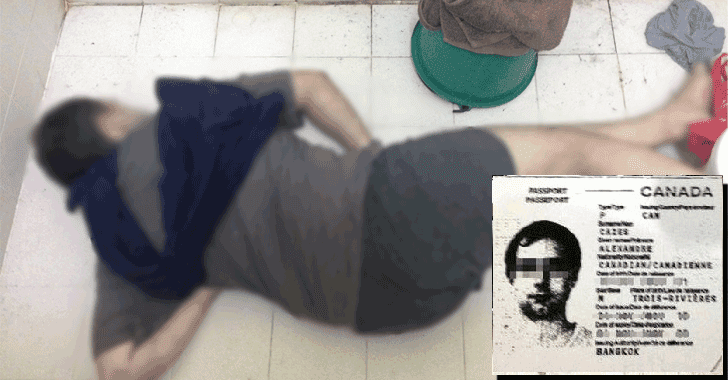 Citing "people familiar with the matter," the publication claims that Cazes, a resident of Canada, was arrested in Thailand and taken into custody in Bangkok on July 5th, the same day the police executed two raids on residences in Quebec, Canada. The 26-year-old Canadian citizen was awaiting extradition to the United States when a guard found him hanged in his jail cell on Wednesday, the Chiang Rai Times confirms. Cazes is believed to have hanged himself using a towel. Cazes had been living in Thailand for nearly 8 years. During his arrest, authorities also seized "four Lamborghini cars and three houses worth about 400 million baht ($11.7 million) in total." AlphaBay, also known as "the new Silk Road," also came in the news at the beginning of this year when a hacker successfully hacked the AlphaBay site and stole over 200,000 private unencrypted messages from several users. After the disappearance of Silk Road, AlphaBay emerged in 2014 and became a leader among dark web marketplaces for selling illicit goods from drugs to stolen credit card numbers, exploits, and malware. Unlike dark web market 'Evolution' that suddenly disappeared overnight from the Internet, stealing millions of dollars worth of Bitcoins from its customers, AlphaBay Market was shut down by the law enforcement, suffering the same fate as Silk Road. Silk Road was shut down after the law enforcement raided its servers in 2013 and arrested its founder Ross William Ulbricht, who has been sentenced to life in prison. The FBI also seized Bitcoins (worth about $33.6 million, at the time) from the site. Those Bitcoins were later sold in a series of auctions by the United States Marshals Service (USMS).